These days information and communication technology (ICT) has become an indispensable part of our day to day life. Many critical infrastructures have now been connected with ICT in one form or another.This is the reason why we need to ensure critical infrastructure protection in India and critical ICT infrastructure protection in India. We also need to strengthen the cyber security of India and the best way to do so is to formulate the national cyber security policy of India. Cyber attacks and cyber threat are increasing against India. However, cyber security in India is not up to the mark and is ailing badly. There are many factors for the poor performance of Indian cyber security and lack of adequate expertise is one of them. Whether it is strategic government department’s computers or critical infrastructure, all of them are under constant cyber attack risks. Take the example of the recent cyber security incidence that has affected the Indira Gandhi International Airport (IGIA) security systems. Three months ago, a ‘technical snag’ had hit operations at the state-of-the-art T3 terminal at IGIA. It now turns out it was caused by a “malicious code” sent from a remote location to breach the security at the airport. A hunt has been launched to nab the perpetrator with the CBI registering a case under the IT Act and IPC. Investigators say that the “malicious code” was in the form of “attack scripts”, which means a programme was written by an expert to exploit the system’s security weakness. While the efforts of CBI is praiseworthy yet when it comes to timely and appropriate actions, CBI does not score well. For instance, the case of CBI’s website defacement has not been investigated in the manner it was required. Cyber crimes investigations in India need to be improved to make effective investigation and get desired results. In the present case of IGIA as well the news of the cyber attack has come after three months and this has weakened the case to a great extent. We need timely detection and effective cyber crime investigation capabilities in India to deal with cyber attacks and cyber crimes. Indian government must conduct effective trainings and courses for cyber crimes investigations in India. Coming to the present case, the check-in counters, transfers counters and boarding gates at the IGI are operated using the Common Use Passengers Processing System (CUPPS), maintained by Aeronautical Radio Incorporated (ARINC). The CUPPS operates on a common software-and-hardware platform that integrates all information such as an airline’s reservation system, the expected time of departure and the capacity at waiting lounges. The problem in CUPPS started at 2.30 am on June 29 due to which check-in counters of all airlines at T3 became non-operational. “This forced the airlines to opt for manual check-in and as a result passengers had to wait. There are around 172 CUPPS counters and only a third were functioning online,” said an official. The investigation revealed that someone had hacked into the main server of the CUPPS and introduced a virus. It took nearly 12 hours to restore the system. The CBI was also called in as officials suspected it was a security breach. “We found that there were serious security lapses,” said a CBI official. The agency had also asked for details of records of CUPPS and staff handling the system. “Once we receive the details, it will be analysed to see if any official is involved. It appears that someone sitting at a remote location had operated the system. We have registered a case under the IT Act and other relevant section of the IPC,” added the CBI official. Indian critical infrastructures are under strong cyber attacks and we need to take this seriously. In cyber crimes and cyber attacks cases taking months to investigate them means loosing the case. We have to develop real time cyber security capabilities in India to avoid such failures. This entry was posted in Uncategorized on September 27, 2011 by PTLB. World over parliaments are becoming aware of the benefits of information and communication technology (ICT). India is also following the pursuit. However, the use of ICT by Indian parliament is very limited and traditional in nature.For instance live telecasting of the proceedings of parliament, maintaining of websites by parliament, etc are some of the examples where ICT has been used by Indian parliament. However, Indian parliament has to cover a long gap before it can be safely called fully ICT compliant. Parliament is a place where laws are made. If we combine technology with law, the requirement of parliament becomes techno legal in nature. This also means that we need research and training centers for parliament that are techno legal in nature. At Perry4Law Techno Legal Base (PTLB) and Perry4Law Techno Legal ICT Training Centre (PTLITC) we have established the exclusive techno legal ICT research and training centre for parliament of India. This is the exclusive techno legal Indian centre for ICT in parliament. The centre intends to empower Indian parliament and parliaments of other jurisdictions in a techno legal manner. PTLB and PTLITC have also started various techno legal e-learning courses, education, research and trainings for staff, employees, committees, committee members, members of parliament, etc. This includes techno legal courses and trainings for legislative drafting, legislative research, legislative education, public legal awareness trainings, etc. We hope this initiative of PTLB and PTLITC would be beneficial for various stakeholders in general and Indian parliament and other parliaments in particular. Computer forensics is a very crucial field these days. With cyber crimes and cyber attacks at rise, need for good and trained computer forensics professionals is very clear. Computer forensics is both preventive and curative in nature. Computer forensics is also very helpful in fighting cyber crimes and ensuring network security in India. A majority of cyber crimes and cyber attacks can be prevented if we use proper, timely and adequate computer forensics practices. Computer forensics is also an important part of aggressive defence in cyberspace against cyber crimes and cyber attacks. A proactive self defence in cyberspace in India is not possible till we have strong computer forensics capabilities. India is caught on the wrong foot of cyber anarchy. With a weak cyber law, inadequate cyber security expertise and almost missing cyber forensics capabilities, the things are not moving in the right direction for India. In fact, open letters have been sent in this regard to the government of India but the position remains the same. Cyber attacks are affecting the critical infrastructure of India. Even the cyber crimes are increasing in India unchecked and at an alarming rate. In the absence of adequate qualified cyber forensics professionals, the backlog of cyber forensics assignments is increasing fast. This is also resulting in almost no conviction rate of cyber criminals in India. At Perry4Law Techno Legal Base (PTLB) we have been working to develop computer forensics research, education and training capabilities of Indian and world wide stakeholders. PTLB is also managing the exclusive techno legal cyber forensics repository in India. This cyber forensics repository carries the best available open source cyber forensics tools and software that can acquire accurate, reliable, valuable and admissible digital evidence. A computer forensics toolkit by PTLB has also been developed for the law enforcement agencies of India. The toolkit carries small, effective and open source tools and software that can help the law enforcement agencies of India to do basic level computer forensics tasks. 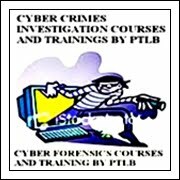 For those interested in online computer forensics courses, education and training in India and abroad, they can avail our courses and trainings at the PTLB e-learning website. All the requirements and formalities have been prescribed at that platform. This is the exclusive techno legal online computer forensics training centre of India and world wide and any person residing in any part of the world can enroll for its courses, education and trainings. We hope various stakeholders would find the computer forensics courses, education and trainings of PTLB useful and effective. Cyber crimes investigation is a tedious task. Even more difficult is the extraction of digital evidence. The toughest of them all is the presentation of the acquired digital evidence in a manner that is admissible in a court of law. Law enforcement agencies around the world are struggling to deal with the first challenge as mentioned above, i.e. cyber crimes investigation. It is only after knowing about cyber laws and cyber crimes that law enforcement agencies can move towards cyber crimes investigation. Therefore, law enforcement agencies of India must undertake good techno legal cyber crimes investigation trainings. Further, law enforcement agencies of India must also develop cyber crimes investigation capabilities. Once the cyber crimes investigation capabilities are developed by law enforcement agencies, the next step is to acquire digital evidence. Investigation of cyber crimes, use of digital evidence and lawful search and seizure of computers is very essential for law enforcement agencies. Perry4Law Techno Legal Base (PTLB) manages the exclusive techno legal digital evidencing and e-discovery centre of India. 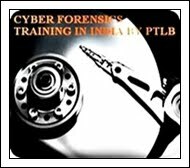 Further, PTLB also manages the exclusive techno legal cyber forensics research, education and training centre of India. The present technological environment requires the law enforcement agencies to be vigil and mobile. They cannot take all sorts of digital evidence to forensics labs. They have to do some sort of cyber forensics exercise on the site itself. PTLB has developed a “cyber forensics toolkit” that comprises of basic level cyber forensics utilities, tools and software. With the help of this toolkit, law enforcement agencies of India can do the basic level cyber forensics exercise on the spot. The toolkit is not a full fledged cyber forensics arsenal but a collection of small but effective software that can help law enforcement agencies of India to do basic level cyber forensics works. For full fledged cyber forensics analysis, they have still to use different tools than those provided in the basic level cyber forensics toolkit of PTLB. PTLB is also developing a techno legal cyber forensics toolkit in India for law enforcement agencies, intelligence agencies, security agencies, corporate cyber forensics units, chief information officers (CIOs), first responders, etc. This toolkit would be released by PTLB after few months. We hope all the stakeholders would find these toolkits useful. This entry was posted in Uncategorized on September 26, 2011 by PTLB. Modernisation of police force of India requires not only basic knowledge of information and communication technology (ICT) but also practical trainings in the areas like cyber law, cyber crimes investigation, cyber forensics, etc. Cyber crimes investigation capabilities in India are not up to the standards. Law enforcement agencies of India need to develop good techno legal cyber skills to improve their investigative capabilities. Police must also ensure cyber law skills development. Similarly, police in India also need to undertake cyber frauds detection trainings so that cyber frauds can be anticipated even before they are committed. Perry4Law Techno Legal Base (PTLB) is providing many techno legal courses and trainings for police force of India. These include cyber crime investigation trainings, cyber forensics trainings, cyber security trainings, cyber fraud detection trainings, etc. Techno legal e-learning in India by PTLB also provides many more courses and trainings. These are basic level techno legal courses that have been specially customised to the requirements of Indian police. With increasing cyber crimes, Indian police need to develop sufficient capabilities so that cyber crimes can be punished adequately in India. Presently, most of the police stations and police officers find it difficult to deal with cyber law and cyber crimes related cases. We need a trained cyber police force in India. The present cyber crimes police cells of India are not competent enough to deal with growing cyber crimes in India. Law enforcement in India needs to have techno legal trainings to deal with these cyber crimes. Further, police also need to undergo courses in cyber crimes investigation in India so that they can sharpen their cyber skills. With more and more stress upon modernisation of police force in India and developing their cyber capabilities, these issues of lack of cyber skills would be resolved very soon. Cyber security knowledge and expertise has become an absolute necessity these days. Whether it is government departments or private companies or home users, cyber security is now an indispensable necessity. However, good cyber security skills and expertise are rare to find. In order to solve the cyber security problems of India, cyber skills developments in India are urgently required. We have to stress upon practical and effective cyber security courses in India and cyber security training in India. However, mere academic cyber security education would not serve the purpose. There are certain essentials of cyber security education in India that must be fulfilled before cyber security courses and trainings can be effective. The first and foremost requirement is that cyber security research, education and training must be techno legal in nature. We must concentrate upon techno legal education and skill development in India rather than either technical or legal education. At Perry4Law and Perry4Law Techno Legal Base (PTLB) we are trying to fill this gap. We are maintaining the exclusive techno legal cyber security research, education and training centre of India (CSRTCI). Further, techno legal e-learning courses, education and trainings by PTLB are also provided by us. If India wishes to protect its critical infrastructure and cyberspace, developing good techno legal capabilities is need of the hour. For the time being that seems to have been ignored but things are moving in the right direction. We hope very soon we have a techno legal cyber security work force in India that would be capable of dealing the most sophisticated cyber attack of the world. Information and communication technology (ICT) demands an expertise to handle issues related to it. In order to develop this expertise, we need good ICT research and training centers in India and abroad. For instance, areas like cyber law, cyber security, cyber forensics, e-governance, e-commerce, e-courts, etc require domain specific expertise that only selective few can provide. Even those occupying high posts in government and private sectors are not very comfortable with ICT issues except to the limited extent of working the basic level computers works. In these circumstances, we need good techno legal ICT research and training institutions in India. These ICT institutions in India must be techno legal in nature that can manage both technical as well as legal issues. At Perry4Law Techno Legal Base (PTLB) we have opened many techno legal ICT research, training and education centers. PTLB manages the exclusive techno legal research, education and training centers in the fields like cyber law, cyber security, cyber forensics, e-courts, digital evidencing, online dispute resolution (ODR), human rights protection in cyberspace, techno legal skills development, techno legal e-learning, etc. Perry4Law Techno Legal ICT Training Centre (PTLITC) is providing highly specialised and domain expertise based techno legal research, education and trainings in India and world wide. PTLITC is also the exclusive techno legal ICT research and training institution of India and world wide. Perry4Law, PTLB and PTLITC are planning to expand their techno legal research, training and education initiatives. We would come up with the updated information in this regard very soon. This entry was posted in Uncategorized on September 22, 2011 by PTLB. Cyber crimes in India are growing at a rapid rate whereas investigation of cyber crimes in India is not up to the mark. Whether it is police force, lawyers or judges, there is a general lack of awareness and knowledge about cyber law, cyber crimes and cyber forensics. Cyber crime investigation in India cannot be effective till police is aware of the cyber law and how cyber crimes are committed. Once the basic level knowledge and modus operendi of cyber crimes are clear to police force of India, the next step is to develop cyber forensics capabilities so that these cyber crimes can be solved. This is also the need of the hour of modernisation of police force of India. Presently, Indian police force lacks the cyber crime investigation capabilities. Even the cyber crime cells of India lack expertise in fields like cyber law and cyber crimes. The truth is that police in India needs urgent cyber law training and a trained cyber police force of India is urgently needed. Police in India urgently needs good techno legal trainings in the fields like cyber law, cyber forensics, digital evidencing, etc. Perry4Law Techno Legal Base (PTLB) has been providing techno legal trainings to police officers for long. PTLB is also providing the exclusive techno legal e-learning in India for police force and other stakeholders like lawyers, judges, public prosecutors, etc. 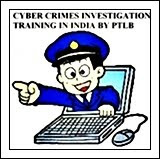 To improve the cyber crimes investigation skills of police officers of India as well as to help in the successful prosecution and punishment of the cyber criminals, Perry4Law and PTLB are also imparting exclusive online techno legal trainings in the fields like cyber law, cyber forensics, digital evidencing and much such other training. PTLB provides all these and many more techno legal e-learning courses in India and world wide. A prototype of the techno legal e-learning courses of PTLB is available to have an idea about the basic level techno legal courses of PTLB (PDF). Since this initiative of PTLB is an online initiative, students and professionals from any part of the world can get themselves enrolled. The application form (Doc) for getting enrolled to various courses of PTLB is also available online. Interested stakeholders can contact us in this regard. This entry was posted in Uncategorized on September 20, 2011 by PTLB. Information and communication technology (ICT) is a specialised field that requires good working knowledge and expertise. ICT covers many areas like ICT legal framework, cyber security, cyber forensics, e-learning, e-commerce, e-governance, electronic services delivery, digital preservation, etc. Further, ICT is no more technological in nature these days. Today ICT has to take care of both technical as well as legal issues. For instance, fields like cyber law, cyber forensics, digital evidencing, video conferencing for judicial purposes, e-courts, etc are essentially techno legal in nature. World over ICT research and training is in infancy stage. However, developed countries are better situated than developing countries like India in this regard. In order to compete and defeat these developed countries, India needs to establish good and effective techno legal ICT research and training institutions and centers. PTLB/PTLITC provides all these and many more techno legal e-learning courses in India and world wide. A prototype of the techno legal e-learning courses of PTLB is available to have an idea about the basic level techno legal courses of PTLB (PDF). Since this initiative of PTLB is an online initiative, students and professionals from any part of the world can get themselves enrolled. The application form (Doc) for getting enrolled to various courses of PTLB is also available online. PTLB intends to widen its research, education and training activities and with the active use of e-learning and online learning methodologies, the same would be achieved very soon. Information and communication technology (ICT) has impacted to a great extent the legal systems world over. 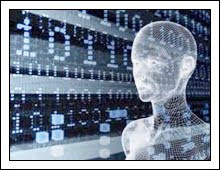 Technological laws were required to be formulated from time to time to deal with technology related deviant behaviours. Deviant behaviours in cyberspace can be in the form of cyber crimes and cyber contraventions. Cyber laws have been formulated to deal with cyber crimes and cyber contraventions. However, solving these cyber crimes require good techno legal skills that are presently missing world over, including India. Cyber crime investigation in India is suffering from this lack of cyber skills, including cyber law and cyber forensics skills. Cyber crime investigation capabilities in India are required to be developed. In fact, cyber police reforms in India are urgently required. Although cyber forensics laws in India are still to be enacted yet there is no escape from the same in the near future. One can imagine the difficulties that our lawyers, judges and police officers would face once such techno legal laws are enacted in India. Techno legal skills developments in India are urgently required to meet the challenging requirements of future. When our law enforcement agencies are shying away from dealing with basic level cyber crimes, dealing with highly sophisticated cyber forensics cases would be expecting too much from them. The foundation of such techno legal skills development must be laid down right now. At Perry4Law Techno Legal Base (PTLB) we are working towards this direction for the past five years. PTLB is managing the exclusive techno legal cyber forensics research, education and training institution/centre of India and world wide. The basic level cyber forensics courses and trainings of PTLB covers areas like internet protocol address tracking (IP tracking), e-mail tracking, data recovery, process evaluation, etc. Perry4Law Techno Legal ICT Training Centre (PTLITC) provides exclusive techno legal training and courses for highly specialised and domain expertise based courses and training for cyber law, cyber security, cyber forensics, digital evidencing, etc. These techno legal e-learning courses of PTLB/PTLITC are meant for stakeholders like police officers, lawyers, judges, corporate executives, first responders, CEOs, etc. Interested stakeholders may contact us in this regard. This entry was posted in Uncategorized on September 19, 2011 by PTLB.